Denver made us feel a mile high and we're not sure whether it was because of the altitude, the prevailing smell of pot or the awesome training with the Rocky Mountain Roller Girls. On top of that, our host Frak Attak made us feel right at home. Not only did she take us to practice and introduce us to the team, she was also our tour guide to St. Mary's glacier in the Rocky Mountains. At 10000 ft, however, after only a 20 minute hike, we were wheazing like chain smokers... And the practice with RMRG that followed was no piece of cake, either. There are some scary (in the best of ways) skaters on that team! 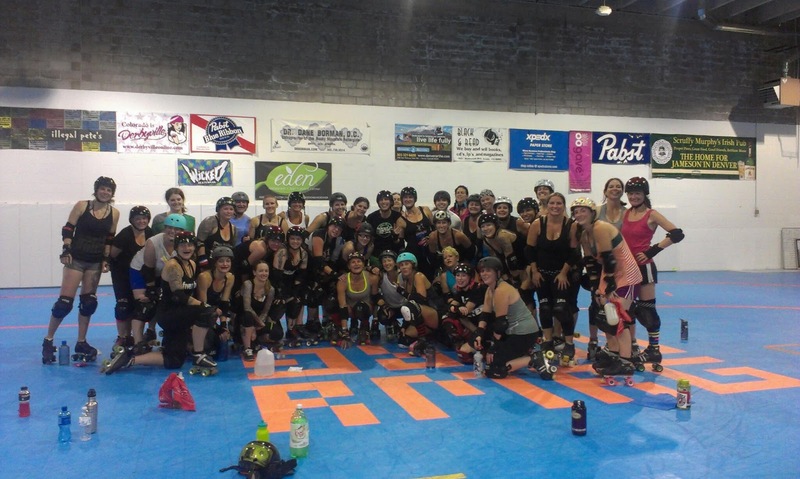 So, if you're ever looking to combine altitude training and roller derby, we can recommend Denver wholeheartedly. And the city even features the country's largest brick and mortar roller derby shop "Derbyville" run by Pretty But Ruthless.